Scale Bar block is a Field based attribute block which automatically adjusts values while editing the scale value. Copy scale bar block using copy (Ctrl+C) or copy with base point (Ctrl+Shift+C) command. Go to the specified drawing which want to place scale bar. Paste (Ctrl+V) Scale bar block. 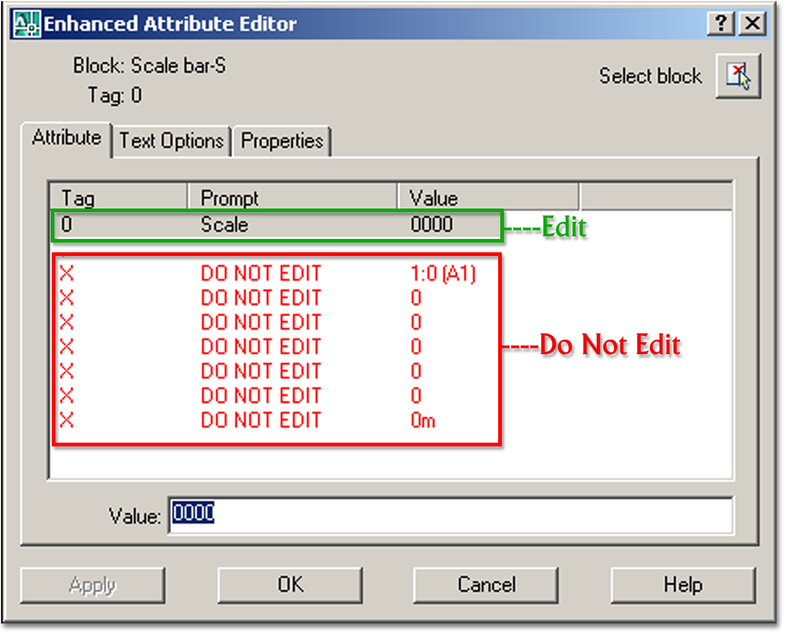 Double Click on the Block to open “Enhanced Attribute Editor” Then Edit Scale value. Do not Insert Block through Insert Command because while inserting block the attribute values will be redefined so it will lose the field properties. 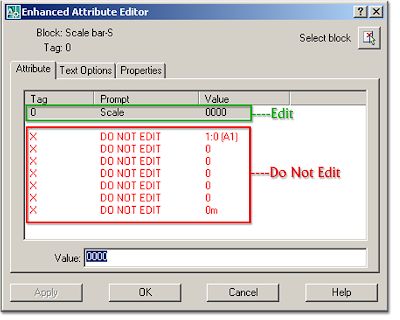 Do not Edit attribute values which prompt “DO NOT EDIT” shown in RED color. I tried using fields but they do not change while regenerating. This is the most useful program ever! I've been struggling with scale bars in AutoCAD for years until I found this, its simply brilliant. Thankyou, thankyou, thankyou! this is the most usefull program. When I add the Scale value and then REGEN nothing happens to the values of the scale bar. I am following the instructions as listed. 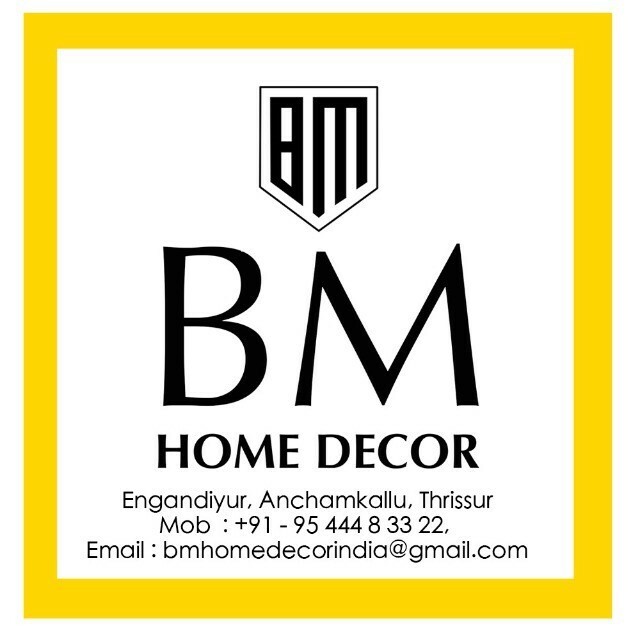 Thank you dear Bijoy Manoharan.